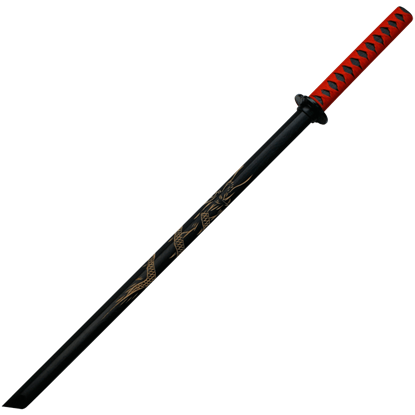 The Wooden Katana with Scabbard features a single edged blade that displays the classic curve of the Japanese sword. 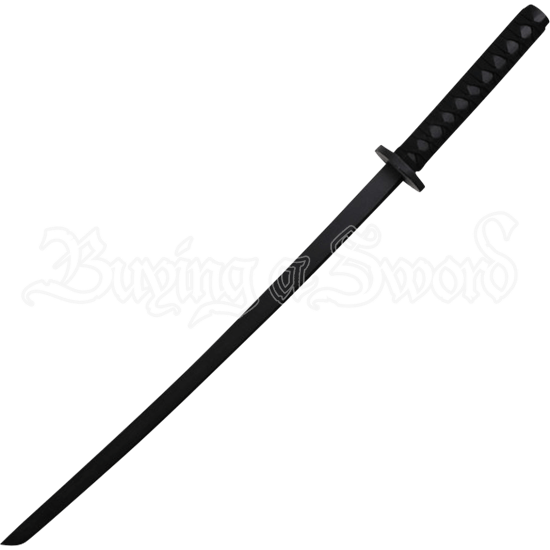 Displaying a matte black finish, this wooden sword is an excellent choice for sparring as well as costumed events. The circular guard protects your hand from incoming blows. The two handed grip and scabbard are wrapped with nylon cord. 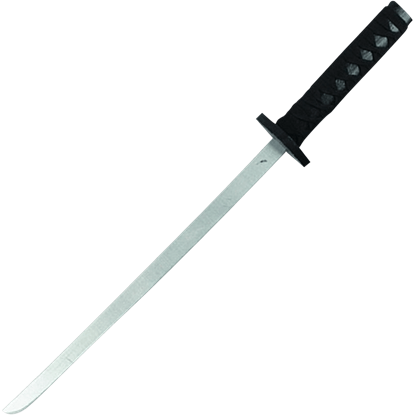 Perfect for cosplay ensembles, martial arts training, and theatrical productions, the Wooden Katana with Scabbard is great for all ages. Those studying the way of the sword in Japanese martial arts begin with a wooden training weapon known as a bokken. This Wooden Practice Wakizashi is suitable for light sparring and makes a great addition to any costume ensemble. The Wooden Tanto with Scabbard features a straight single edged blade painted metallic silver. 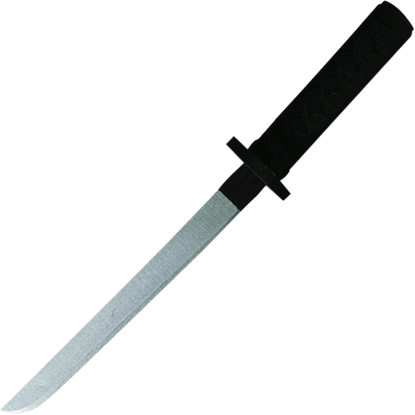 This wooden knife is an excellent choice for training in close quarters and for stealth operations and adds a great touch to any costume. Bokken are traditionally left undecorated, because they are designed for sparring and training only. Ornamental bokken, though, do exist. Typically, such bokken, like our Black Engraved Dragon Bokken, are meant for aesthetic purposes.